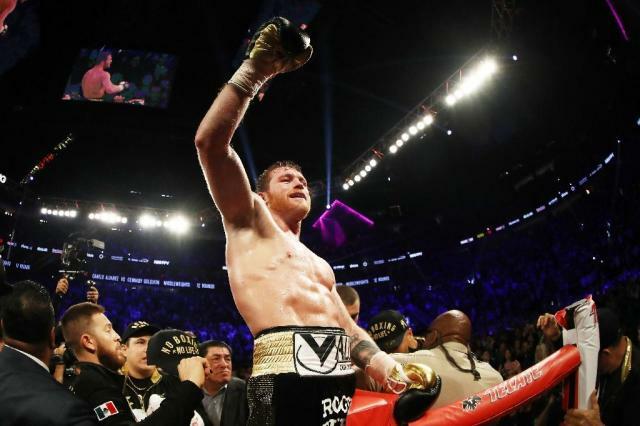 Las Vegas (AFP) - Mexico's Saul "Canelo" Alvarez ended Gennady Golovkin's unbeaten reign as unified middleweight champion Saturday, battling to victory by majority decision in a pulsating rematch. 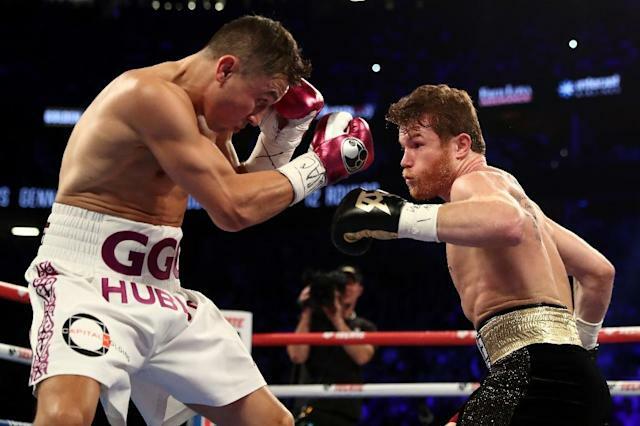 Alvarez showed skill and durability to outlast Golovkin in another attritional contest between the two evenly-matched rivals at the T-Mobile Arena, one year after they had fought to a controversial draw at the same venue. Alvarez inflicted the first defeat of Kazakh slugger Golovkin's career after two judges scored it 115-113 in his favour, with another judge scoring it even at 114-114. "I am a great fighter, and I showed it tonight," Alvarez said. "If the people want another round, I'll do it again," added Alvarez, who improves to 50-1-2. "I feel satisfied because I gave a great fight. It was a clear victory." Golovkin, who fell to 38-1-1 after the loss, left the ring without speaking to television reporters. Alvarez's victory ended the 36-year-old's dream of securing a record-breaking 21st consecutive defence of his middleweight titles. 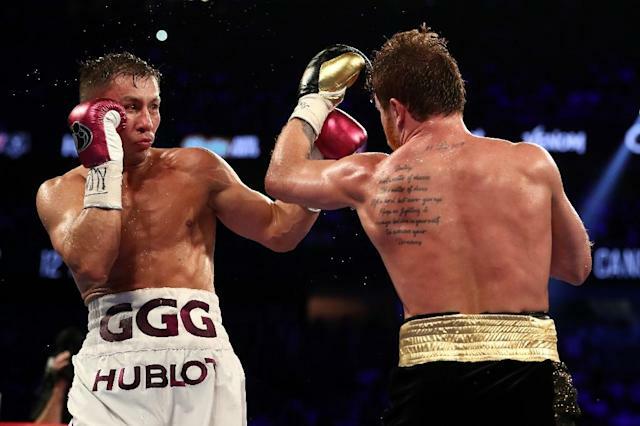 While Golovkin was widely believed to have been unlucky not to win their first encounter last year, there was no controversy about Saturday's outcome. "We had a great fight, the one we expected the first time around," Golovkin's trainer Abel Sanchez said. "I had it close going into the 12th round. We had good judges who saw it from different angles - I can't complain about the decision, but it's close enough to warrant a third fight. "Canelo fought a great fight, congratulations." Both fighters fought cagily from the outset, reluctant to trade heavy blows. Golovkin appeared to edge clear in the early rounds, working well behind his stiff left jab, but Alvarez remained unruffled. The Mexican, who had been accused of "running" in the first fight, came forward relentlessly and dominated the mid part of the fight. On all three judges cards Alvarez dominated the middle rounds from the fifth through to the eighth, building a handy lead to defend in the closing stages. Golovkin attempted to rally, rocking Alvarez with a stinging right hand in the 10th before pinning him on the ropes with a flurry of hooks. But Golovkin was never able to press home his advantage, and each time Alvarez was able to evade the looming danger to respond with blows of his own. With Golovkin needing a big finish in the 12th, Alvarez again proved up to the challenge, shrugging off an early uppercut to hold on for the win. An array of stars from the movie and sports world were amongst a crowd of 21,965 for the most anticipated fight of the year, with LeBron James rubbing shoulders with Hollywood icons such as Denzel Washington and Will Smith. But the technical, tactical battle never quite lived up to the explosive classic which fans had hoped for. The contest followed an acrimonious build-up which saw both camps trade insults in the wake of Alvarez's two failed drug tests in February which forced the cancellation of an earlier May 5 rematch. The two boxers needed to be separated at Friday's weigh-in after Alvarez charged at Golovkin as they faced off. Alvarez was banned for six months after testing positive for the banned performance enhancing substance Clenbuterol. The Mexican blamed the test failures on eating contaminated meat in his native Mexico. However Golovkin had infuriated the Alvarez camp by repeatedly rubbishing his opponent's explanation for the test results, accusing the Mexican of being a dope cheat. The acrimony was forgotten in the aftermath of Saturday, with both men embracing.